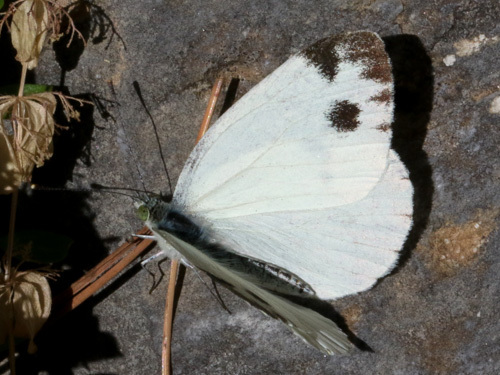 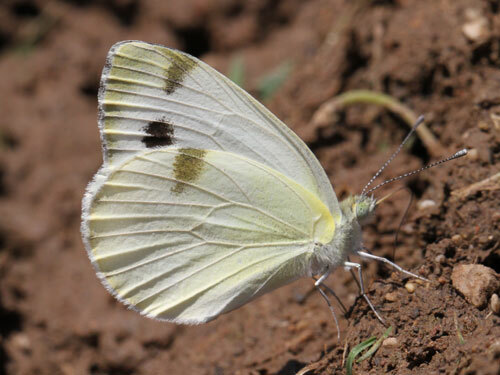 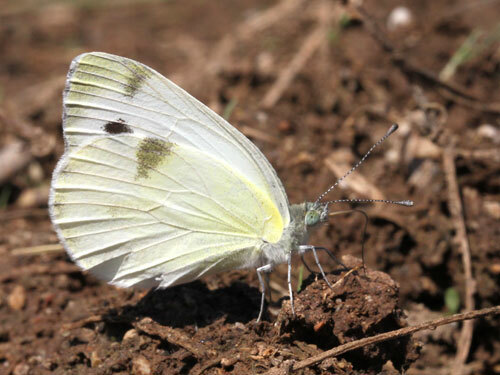 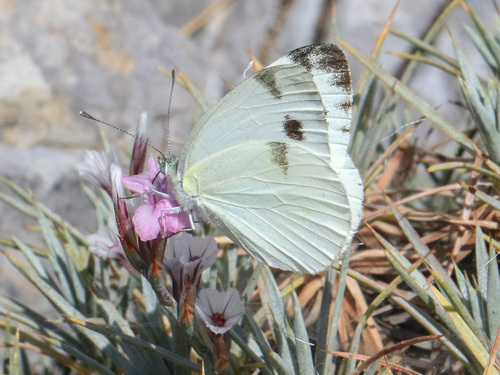 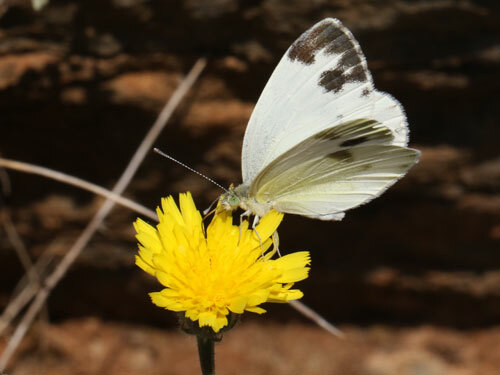 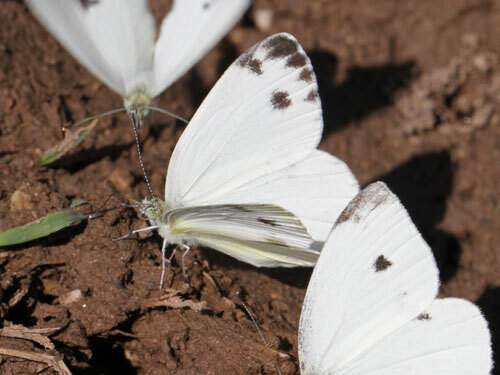 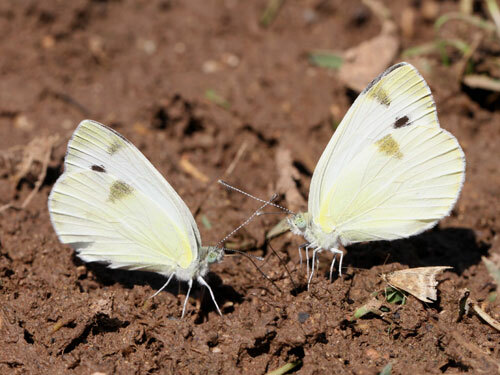 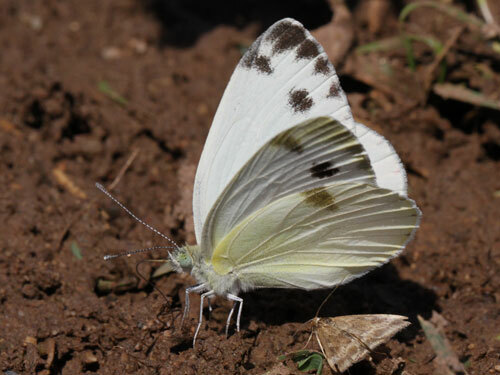 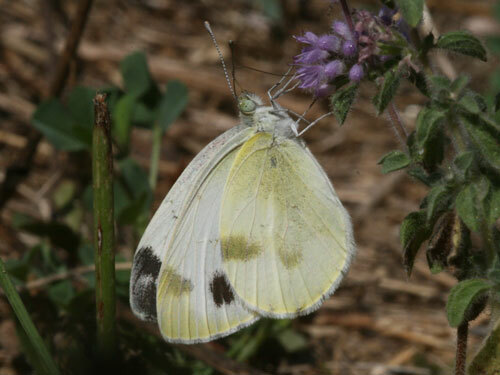 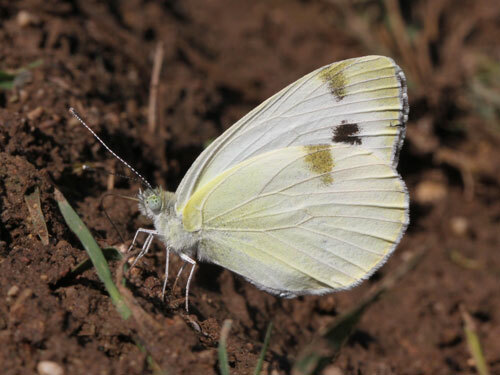 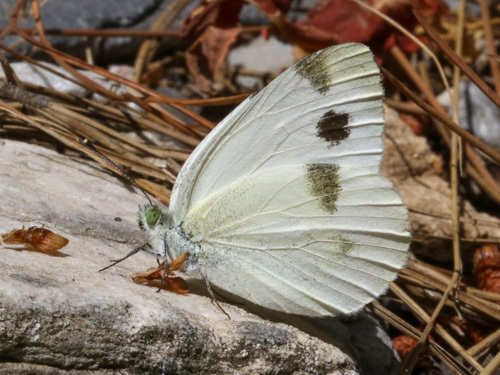 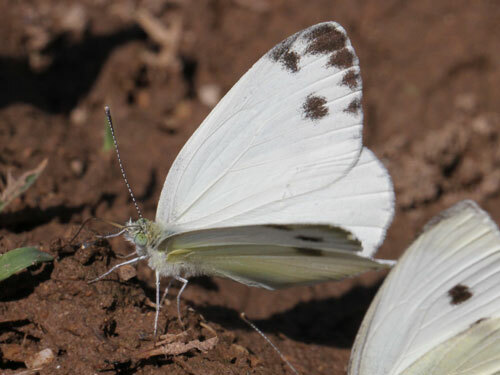 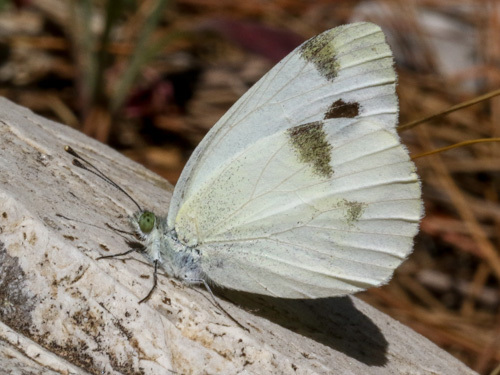 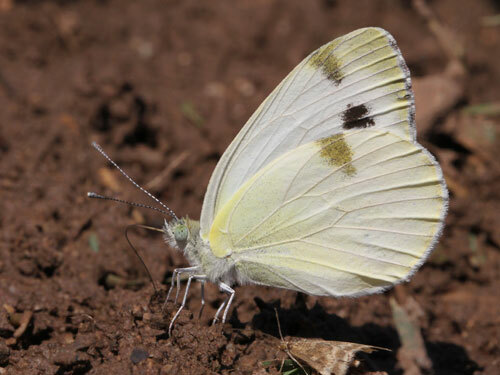 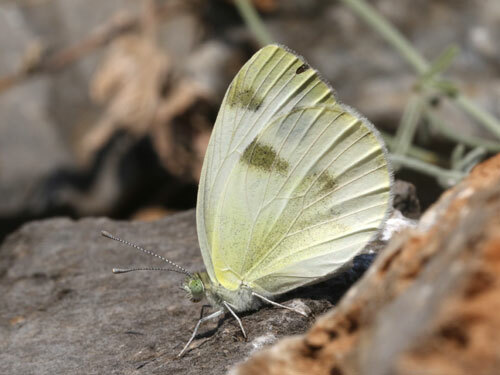 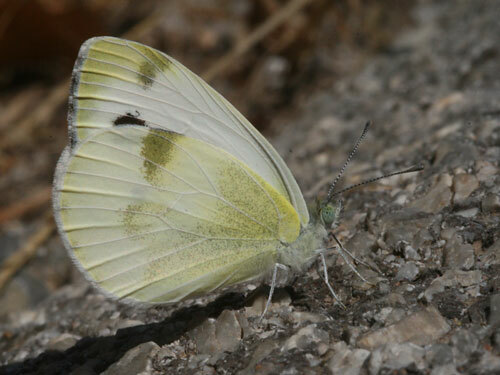 This a the most distinctive of the small whites with unmistakable green underside markings. 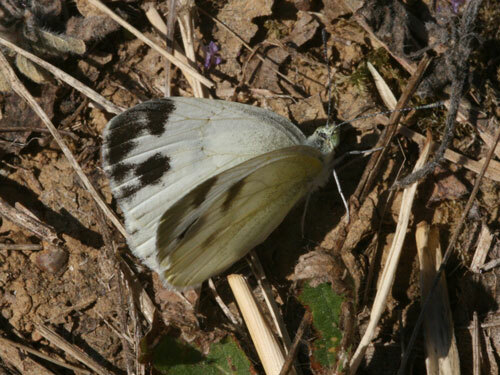 It is also the rarest, found only in the southern Balkans and there it is very local and only found in low numbers. 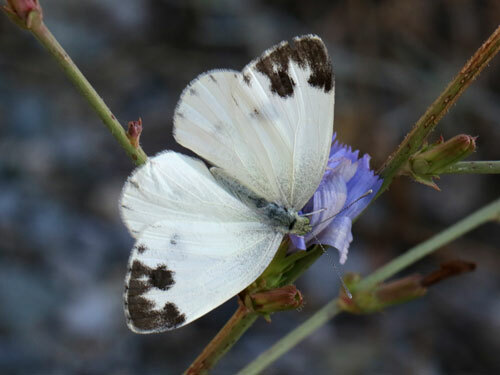 Identification & Similar species: The distinctive underside markings separate this species from all other similar ones. 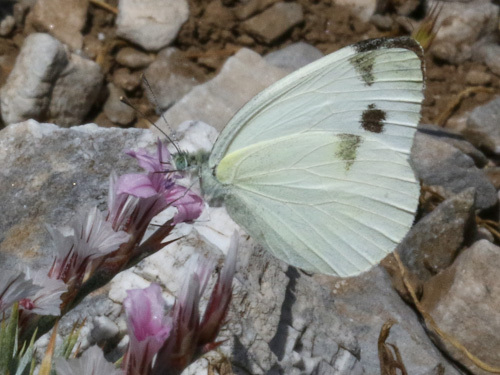 Distribution & Flight: Southern Balkans where it is very localised and, in my experience, is only found in low numbers. 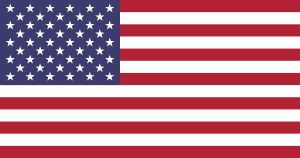 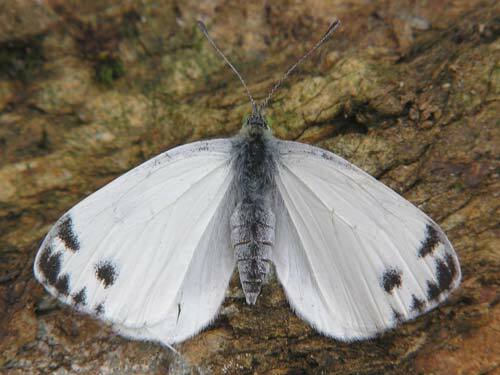 It flies in several broods, from May to August (and possibly beyond these limits too). 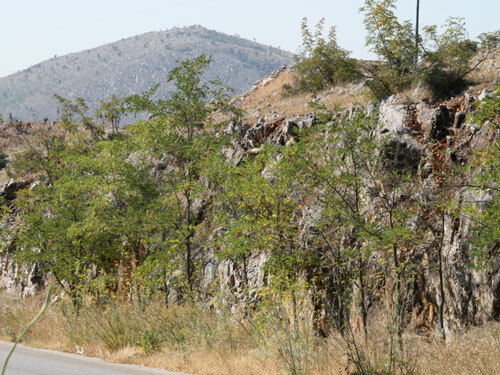 Habitat & Behaviour: Hot dry rocky places with light scrub. 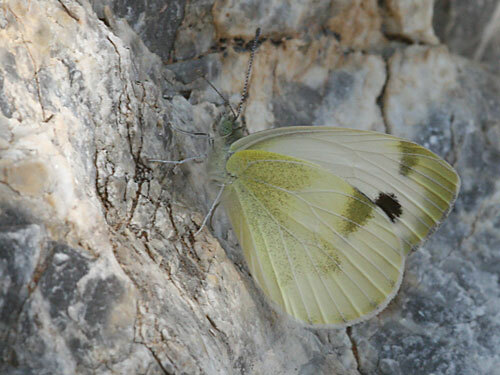 Variation: The green underside markings are much darker in the spring generation. 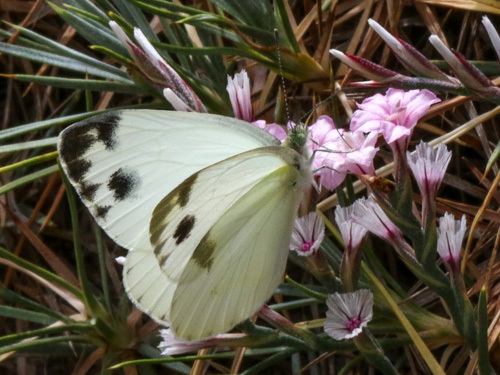 Dull cool weather prevented this butterfly performing any better than this.